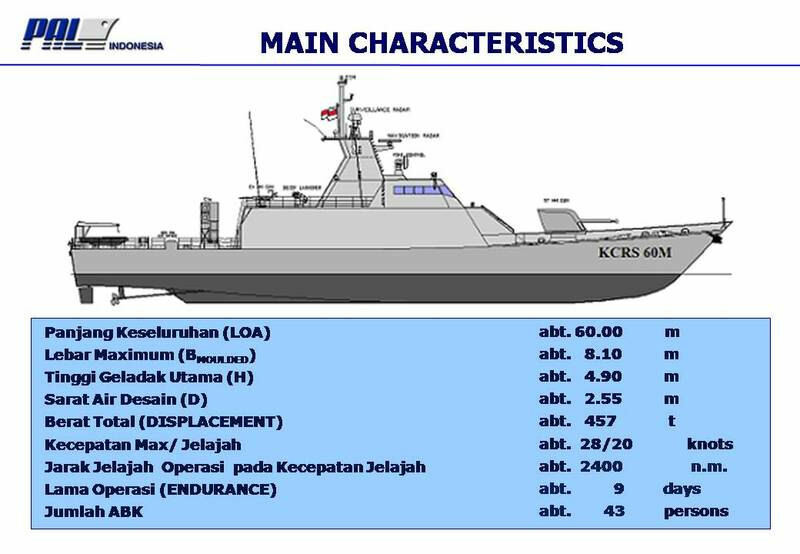 One major indigenous program is the Kapal Cepat Rudal (KCR – Fast Missile Boat) program, consisting of three designs, the 40m KCR-40 built by PT Palindo, the 60m KCR-60 built by PT PAL and the 63m Stealth Trimaran KCR built by PT Lundin. Both the KCR 40 and KCR 60 designs carry the Chinese C-705 missile, with Indonesia having discussed with China licensed manufacturing the C-705 for domestic use. 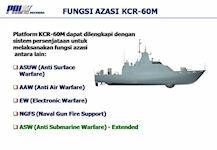 A target of 14 KCRs by 2014 and 44 by 2024 to meet the 2008 - Minimum Essential Force (MEF) had been set. The KCR 60 m has the ability to operate in high motion, agile and capable of firing positions in conducting avoidance of the opponent's counter-attack. Construction of KCR 60 M is based on the letter of purchase agreement number: KTR/1060/02-48/XII/2011/Disadal No. 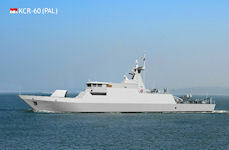 The construction of M000273, W000274 and W000275 between PT PAL Indonesia (Persero) and TNI-AL represented by the Office of Procurement Mabesal (Disadal), built on the basis of class BKI. 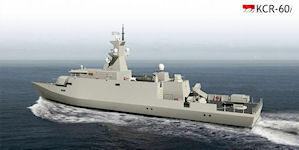 The first ship was scheduled to be delivered at the end of December 2013, the second ship would be delivered in March 2014, while the 3rd boat will be delivered in June 2014. The Chief of staff of the Navy (Kasal) TNI Admiral Dr. Marsetio carry out Work Visits and inaugurate shipbuilding Fast Missile (KCR) 60 M 2 in Hall Assemble PT PAL Indonesia (Persero) 18 April 2013). 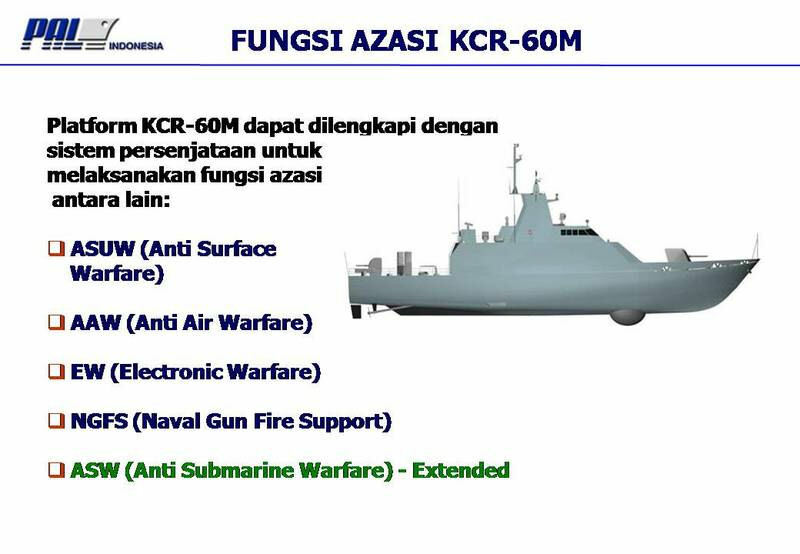 Marked with siren keystrokes by Kasal and accompanied the Director of PT Pal, building fast ship missiles (KCR) 60 M 2, officially began. 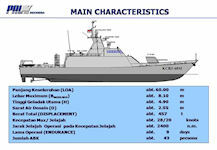 KCR 60 M is the second ship of the three ships of the Indonesian Navy orders. Finished with the inauguration of building Fast missile, Kasal group and accompanied by the Board of Commissioners and Directors PT PAL Shipyard in reviewing the workshop Kaprang. The event was attended by Asrena Kasal, Aslog Kasal and all echelons region Pangkotama Surabaya, Mabesal and Commander of the ARMY's main Base AL (Lantamal) V Surabaya Admiral Pertama TNI Sumadi, s. Sos. as well as the Board of Commissioners, The directors and officials of the Terrace PT. PAL Indonesia Persero. Expected with this event, the strengthened commitment of PT PAL Indonesia (Persero) and real form to continue to play an active role in the fulfillment of the State there, towards autonomy in THERE particular areas of the Musée. In his speech, the President Director of PT PAL IR. 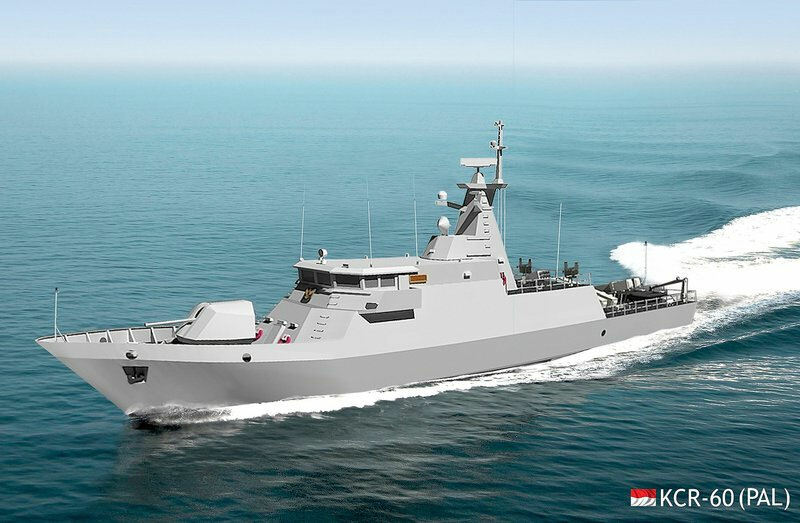 m. Firmansyah Arifin that development gives Fast Missile Boats 60 ft in PT PAL Indonesia (Persero), this is a realization of the lofty ideals of the TNI-AL, and all the elements that are involved in the procurement of construction of the ship. 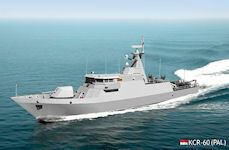 This is purely an effort to support the national Shipyard Industry that finally can also increase the national growth. IR. m. Firmansyah Arifin also hope, in occasion of the upcoming PT. 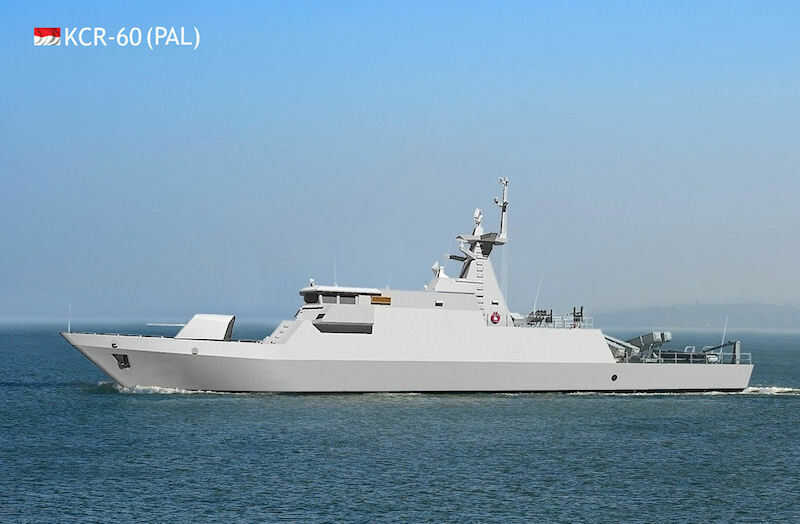 PAL Indonesia (Persero) still continue to believe and be able to participate actively to meet the needs of the Defense Ministry There in particular the needs of the ships of the INDONESIAN Navy, which are directly contributing to the development of the industry of national Shipyards simultaneously plays a role in saving the country foreign exchange.